Selected French restaurants around the metro are hosting a special dinner experience simultaneously this March 21! Authentic, full course French meals will be served at prices ranging from P650 to P2,280 per person depending on the restaurant and their menu for the evening. Thinking about treating yourself and someone special to a lovely dinner? Here’s a peek on what to expect for the night to come. Mini Voul au what? If you have yet to try escargot, here’s your chance! This puff pastry with escargot, tomato confit, and cream of garlic along with their bite sized ciabatta toast is just the starting appetizer that will prepare you for the next seven plates of delicious French food that will be served at the Vatel Restaurant Manila. The most cost friendly out of the bunch, Corner Tree Café will be serving their Dark Chocolate Mousse amongst other French dishes including Lentil Walnut Pate in Baguette Toasts, Soupe au Pistou, Cauliflower Gratin, and Tarte Tatin all for P650 per person. Though not intended to be served on the night itself, the dish was able to boast the chef’s talent of balancing the different mix of flavors that came with the pickled vegetables and onion relish. If you’re looking to up your game a bit with someone special, enjoy Restaurant 101 of Enderun’s serving of Marinated Crustaceans, Salad of Pig Trotter and Foie Gras, Gratinated Oysters, Oven Roasted Duck Breast, a selection of French cheeses, and more for P2,280 per person. Or in English, Smoked Duck Bacon Salad with Tarragon Sauce. Any salad with smoked duck and bacon is good in my book, and before I could even comprehend the French name of this dish, I was already enjoying the pieces of duck rather heartily. Duck & Buvette will be serving this salad, Cassoulet, and Malagos Chocolate Mousse for P1,000 per person. Basically, Gougeres is a fancy way to say Crème Puff with enough Gruyere Cheese filling to make it ooze out of the mini bites. Courtesy of Lemuria, you’ll be served Gougeres, their fresh market fish of the day on Florentine sauce, Confit of organic pork belly on tabouleh, a plate of bleu de Auvergne on home backed walnut toast, and more for P1,850 per person. …you are mistaken. This slow braised beef in red wine, demi-glace, onion, carrots, and tasty serving of potato gratin is sadly not on their final menu, but honestly that isn’t much of a concern because they have something even better in store: your choice of Braised Lamb Shank with Apricot or a Roast Mahi-Mahi fillet with vegetables and Crab bisque. Their tender slices of meat as well as generous servings of the main dish will definitely follow suit at Vatel Restaurant. 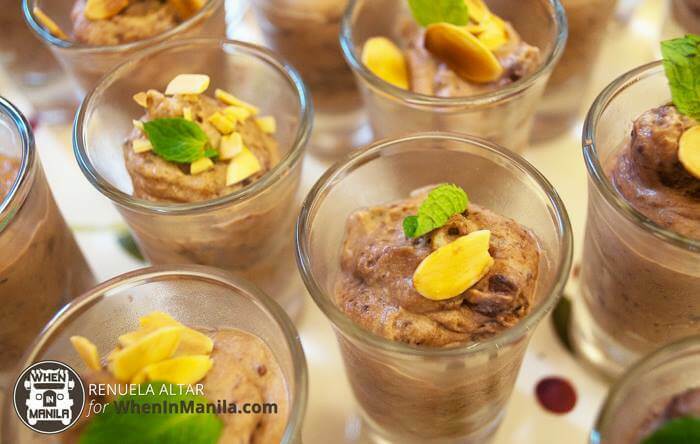 You can avail of their seven-course meal for just P1,200 per person. Go out and celebrate Gout de France at any one of the nine participating restaurants: Vatel Restaurant Manila, Apero White Plains, Cav BGC, Corner Tree Cafe Makati, Duck & Buvette Shangri-La Edsa, Gourmet Bar Novotel Cubao, La Creperie Salcedo Makati, Lemuria QC, Mireio Raffles Makati, and Restaurant 101 Enderun to serve full course meals this March 21, 2017! The best way to enjoy it of course would be to share the experience with someone you care about–whether it be family, friends, significant other, or even yourself. Bon Appetit!